When it comes to assembling an AFL fantasy team, the majority of players would understandably cast their eye towards the sides who are expected to challenge for a playoff spot this year. Geelong, Collingwood and West Coast players were snapped up ahead of the campaign getting underway, but Gold Coast representatives are likely to have been largely overlooked. 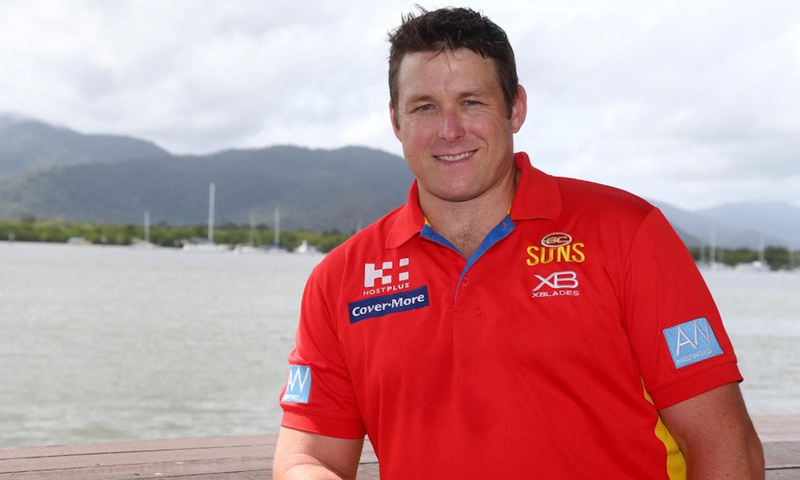 The Suns were expected to collect the wooden spoon this season, and after losing yet another captain at the end of 2018, the young side were widely predicted to struggle once more. They scored the fewest fantasy points in the whole of the division last year, and fantasy managers were understandably wary of selecting anyone from Stuart Dew’s side. However, they’ve exceeded all expectations so far, and after winning two of their first three games in 2019, they could be easily be considered outsiders for a top-eight spot, and it’s left some fantasy players furiously backtracking. It is still early days in the 2019 AFL season, and Gold Coast supporters aren’t getting carried away just yet. They lost their opening game to St Kilda, but there were plenty of positives to take from their opening weekend performance. It was an early-season thriller at the Marvel Stadium, and despite falling behind, the Suns showed tremendous spirit to come roaring back, and they almost snatched an unlikely victory. David Swallow began his stint as co-captain in fine style, and his swashbuckling performance is likely to have seen some serious interest from AFL fantasy players. One of the major issues in previous campaigns is that some Gold Coast players have had trouble staying fit, but the club’s new fitness program should help avoid similar problems this time around. Fantasy team ownership can be a stressful experience, and players must use their trades wisely, but the Gold Coast’s new-look back-line is certainly worthy of consideration. Josh Drummond has recently signed up to become the club’s new assistant coach, and he has already worked wonders with their defence. During their first three games, the club have taken the second-most intercept marks in the AFL which is a significant improvement upon last season’s underwhelming defensive displays. Only two of last year’s back six have featured so far, with Jack Hombsch and Sam Collins settling into their new surroundings with consummate ease. The latter has been particularly impressive since arriving from Fremantle, and he looks a superb addition to the squad. His stock is quickly rising, and fantasy players could do far worse than add the 24-year old to their ranks. He is equal-second in the AFL for intercept marks, and looks full of confidence. He is the ideal age to continue his development with the Suns, and a full season of competitive footy will certainly help him add consistency to his game. Only the Cats and the Dockers can boast better defensive numbers so far this season, and it gives the Suns a terrific platform to build upon. They remain relative outsiders, and are still available at $11.00 in the latest Aussie Rules betting to finish in the top eight, but the early signs are hugely positive, and they look far better equipped than twelve months ago. Although it is still quite early in the season to be making trades, fantasy players may just wish to keep their eye on the progress of Gold Coast. Although it’s ill-advised to get too carried away during the opening couple of months, it may still be worth investing in some of their standout performers. Their defence has been superb so far, and this young side are undoubtedly heading in the right direction.